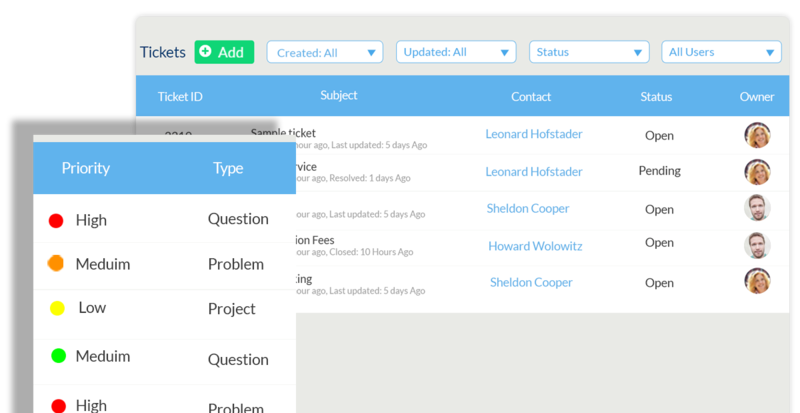 Revamp CRM automatically sync your Contacts and Tickets every 4 hours from helpdesk (freshdesk, Zendesk and more coming soon) to import your contacts, tickets, and update their status so that you can easily track and manage customer’s complaints, tickets, &history. 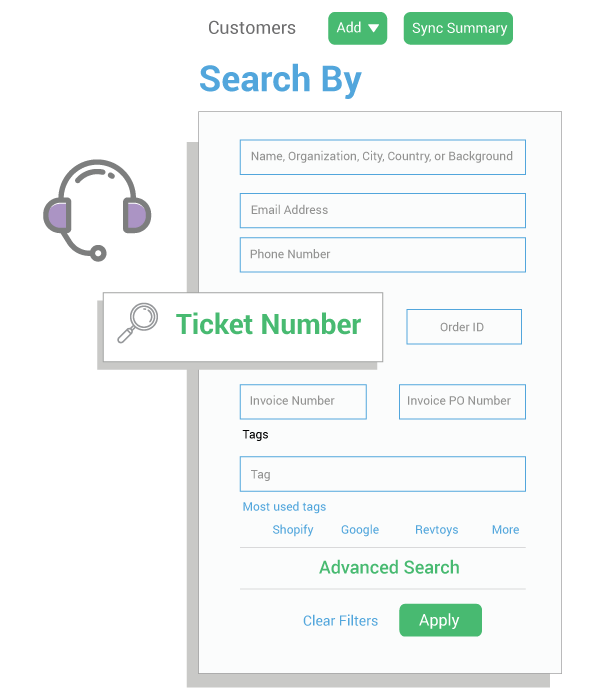 We make it easier for you to have a quick search for your customers either by tickets status or id. One view collecting all tickets across your CRM where your can filter your tickets by status, type, created and due date and more. Our color code helps you easily recognize your helpdesk status and prioritize your customer support.